RUSH: The president’s lead lawyer in the Mueller investigation of collusion between Trump and Putin and Russia to steal the election from Hillary Clinton has resigned. His name is John Dowd, and he has been a longtime lawyer for President Trump, on this matter especially. Now, he’s been in the news lately, and that’s why I’ve been hustling trying — I had this memory that this guy stepped in it recently with either a tweet or a public statement, but I couldn’t quite recall, so I have been very feverishly and very hectically searching news databases for the last three days. The only thing I could come up with — and this is not what I’m remembering — is that Dowd publicly called for Mueller to just shut this down, just stop it. By the way, Alan Dershowitz has done the same thing now. Professor Dershowitz of Harvard said, “Mr. Mueller, just shut this down. You got no business doing what you’re doing. Turn it over to a congressional investigation. This is absurd.” He got into an argument with a former student of his, Jeffrey Toobin, on CNN. Toobin thinks that Dershowitz is losing his mind, and Dershowitz thinks that Toobin is losing his. Both could be true. We will have the audio sound bites to let you hear. 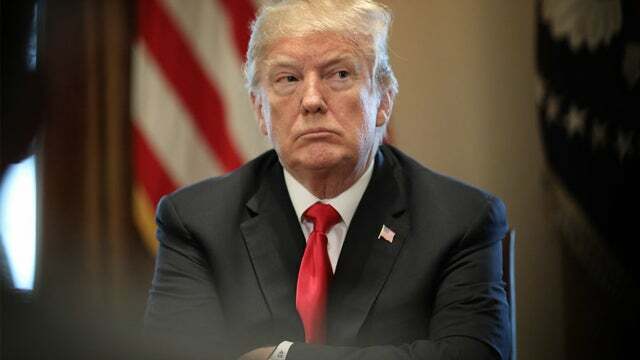 Now, the president also has been tweeting that Mueller should just bring this to a screeching halt and shut it down ’cause there’s no “there” there and this broad expanse fishing expedition isn’t turning up anything, and it won’t be, because there’s nothing to turn up. But this isn’t quite it because I remember — it might have even been Friday or Saturday of the previous weekend. But I remember Dowd had done something, said something, tweeted, I don’t know, publicly. My initial reaction was, “Uh-oh. This may not fly.” But I can’t remember what it was, and my very feverish searches here didn’t produce anything. The only thing the search produced was that Dowd indeed had called upon Mueller to stop, which is exactly what Trump has been doing. So why would Dowd resign? The best indication that we’ve got is that he is — I don’t know if he’s the only one, but he is the loudest voice on the Trump legal team telling Trump not to talk to Mueller, to not do it, do not sit down for an interview with a lawyer. I don’t care how smart you think you are and how honest and how competent you are, do not do it. Now, apparently Dowd is in the minority on the Trump legal team. There’s some, I guess, who want him to sit down with Mueller. Why, I do not know. There’s nothing to be gained from sitting down with Mueller. There’s not a single thing in the world to be gained by it. The only thing that can happen is that Trump can’t remember who he said what to and ends up committing one of these process crime lies that Mueller can pounce on. I think Trump really believes that if he tells Mueller that, that he can talk Mueller off of this. But Mueller knows that. Mueller knows that as well as you and I know that. The Mueller reason for existing is to cover that up. Now, let me say something about that. We had Ralph Peters, who is a frequent analyst on military matters, on Fox News very publicly resign in the last couple of days, Colonel Peters. I’m sure many of you know who he is, and I’m sure many of you probably admired Colonel Peters. But in his very widely broadcast resignation, I mean, his resignation was heralded and it was promoted all over the Drive-By Media. He said he could no longer work for a propaganda arm, Fox News. He could no longer, in good conscience, sit there and appear on what used to be a great network but now, particularly in prime time, is nothing but a propaganda machine for President Trump. And then he went on to say that he has experience in intelligence as part of his military service and that he thinks that there’s a lot to the Steele dossier. He thinks it’s an abject mistake to reject the whole thing, that he knows intel, Colonel Peters does, and there’s some stuff in that dossier that rings true to me. And then he said, “The one thing” — I’m paraphrasing — the thing that he said bothered him the most was this irresponsible effort to tear down and destroy one of the greatest living, most integrity filled members of the Washington political class, comma, Robert Mueller. He just couldn’t take it anymore. Ralph Peters could not willingly appear on a network which was refusing to show the due and proper respect to Robert Mueller. And so he had to leave. Now, within the swamp — this is why I raised the question last week — heck, it might have been earlier this week. And let me review this, because literally I have been asking myself this. Let’s assume this is all true. 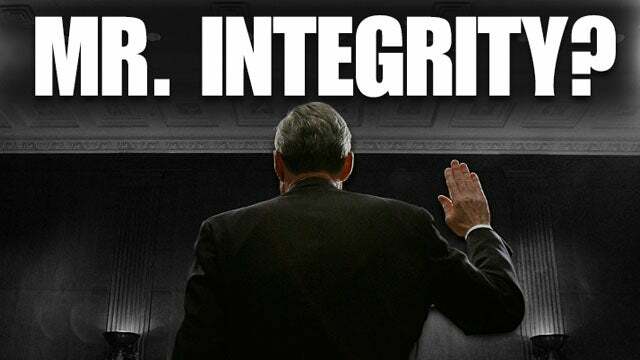 Let’s say that Mueller does have more integrity in his little finger than all of the Washington establishment combined. That’s how he’s presented to us. He is unassailable. He’s unflinchable. He has honesty oozing out of every body orifice and pore. He has integrity. He has character. He is the epitome of Mr. Right. Okay. Then I have a question. How in the world can this guy get up every day with all of that integrity and sit here and watch somebody who’s been nothing more than a great patriot, Michael Flynn, literally be bankrupted and destroyed over something that may not have even happened, lying to the FBI? The people that interviewed Flynn didn’t think he lied. Peter Strzok, FBI agent, interviewed Flynn; didn’t think he lied. We’ve been through this. And yet there’s Mueller forcing this guy to cop a plea on a charge of lying to the FBI over his conversations with Sergey Kislyak, the Soviet whatever he was. Michael Flynn’s had to sell his house. But even beyond that, here’s a man with this impeccable integrity and honesty, credibility. How does he get up every day and do this? There isn’t any evidence that there was any Trump collusion with Russia, and there’s not gonna be any. They’re not gonna find any. It didn’t happen. So how does somebody with this amount of integrity, character, honesty, impeccable reputation, get up and do this every day? How does he live with himself? Does he tell himself that, “Well, I think there was collusion; I just haven’t found it yet”? So much of this doesn’t make any sense to me, if we accept what we’re told. 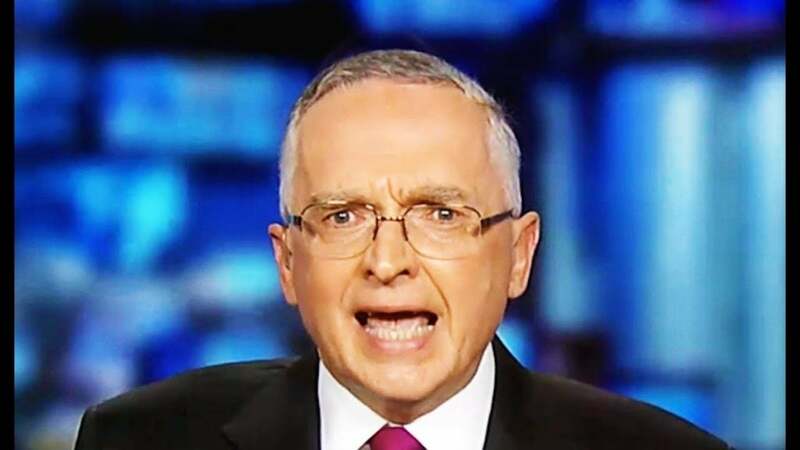 And so here comes Ralph Peters resigning from Fox, saying (paraphrased), “I cannot sit here idly by and watch the greatest man in Washington be summarily destroyed every day on the network I’m appearing; so I’m out of here.” All right. Fine. But then how is all of the rest of this permitted to happen? How does all this going on if this kind of person is in charge of the investigation? So Dowd comes out and says he thinks this thing ought to be shut down. There’s nothing to it. There’s nothing to be found. And Trump thinks he’s gonna be telling you Mueller something he doesn’t know. Mueller knows all of this and is ignoring the real corruption, ignoring the real crime as the most impeccably integrified person in Washington, D.C. So Dowd’s out. The new lawyer in there is Joe diGenova, 73, and you know what I suspect? I suspect it’s like anything else. 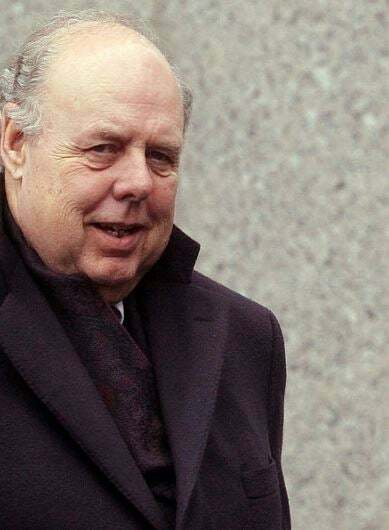 Trump wants a lawyer who is a combination great TV PR spokesman and a warrior and a battler, and he probably didn’t see John Dowd as being able to fulfill either role. Dowd doesn’t go on TV and Dowd is not a brawler in the sense that Trump is. 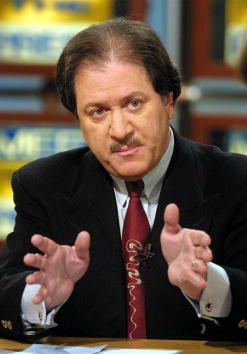 But diGenova is. But there’s some other lawyers in the Trump team are not. Ty Cobb. Don McGahn. These people are straight, button-down collar guys. But diGenova isn’t. Anyway, there’s nothing to be gained by talking to Mueller ’cause Mueller knows everything that’s happened here, and the Mueller investigation is to cover up — I firmly believe — and people are gonna say, “How can you say that? This is the finest man Washington has produced! “This is a man with the most honesty, the most integrity. This is the man with the greatest character, and there you are — and you don’t even know him, Limbaugh! And there you are claiming that what he’s doing is a cover-up.” I’d be happy to have somebody convince me otherwise, ’cause none of this makes any sense within the confines of it being a legitimate investigation. It makes all kinds of sense if it’s seen as something other than the way it has been structured and portrayed. But if they want us to look at this as a decent, honest, straightforward, legitimate counterintelligence investigation, then it doesn’t make sense. The stock market’s tanking, by the way, as a result of the Dowd resignation. It was minus 460 when the program started. I’ll check it in a bit. It was no great shakes before Dowd resigned, but that’s where it is now. RUSH: “Rush, you’re playing with fire when you talk like you’re talking about Mueller.” See? I’m getting emails. “Rush, you’d better watch yourself.” These are listeners. These are people who have my back. “We’re worried, Rush. We’re worried. Don’t go after this guy.” See, this is the… You don’t go after the swamp. Does anybody remember be Robert Mueller was lead counsel investigating…? Remember that anthrax case that they improperly charged some poor slob in New Jersey with this? They pursued this guy for five years. He was innocent. They pursued him for five years. Mueller, leading the charge, destroyed this guy’s life. He never apologized to him. The Department of Justice had to pay this guy $5 million in a settlement — and here is Mueller leading that charge. Never once apologized. He just had the wrong guy and wouldn’t let go for five years, folks. Ralph Peters says this is the guy we gotta protect. RUSH: We have Bob in Vail, Oregon. Welcome, sir. It’s great to have you on the EIB Network today. CALLER: Thank you, Mr. Limbaugh. Again, a pleasure to talk to you, sir. CALLER: When the president congratulated Vladimir Putin on Putin’s election victory it confirmed all my suspicions, sir, that Vladimir Putin collaborated with Donald Trump to steal the Russian election. RUSH: Wait. You think that Trump colluded with Putin to help Putin steal his election? CALLER: Again, using your playbook, the absurd to illustrate the absurd. RUSH: Yes, I see. Illustrating absurdity by being absurd. CALLER: Do I have time for a quick comment on Mr. Mueller? RUSH: Oh, yeah, throw it out there. CALLER: Okay. You’ve heard of the national organization Crime Stoppers. CALLER: Okay. I call Mr. Mueller and his investigators Crime Shoppers. RUSH: Yeah, that works. You’re on a roll here. Mueller and the Crime Shoppers. I don’t even think they’re trying to shop crimes. They’re making them up now. They’re inventing charges. Conspiracy against the United States, there is no such charge, and Mueller is charging people with it. Dawn, you know a bunch of lawyers. They can’t do this. They cannot make up charges and go into court and charge them with something, and that’s what Mueller is doing. Conspiracy against the United States. There’s no such charge. Anyway, Bob, I appreciate the call. I can totally understand that Trump would want to pay Putin back. Putin colludes to steal the election for Trump and it’s Trump turn now to return the favor and collude, and, boy, did Trump ever succeeded. Did you see what percentage of the vote Putin got? What was it, in the eighties or nineties? Putin got close to 90% of the vote. And Trump didn’t even have to use Facebook to get it done. That’s sunning, sunning success. Trump must have really, really learned a lot watching Putin collude and steal election from Hillary. You know, when you look at this it just sounds silly, it sounds ridiculous. Trump colluding with Putin to help Putin steal his election. Well, it’s just as silly the other way around.